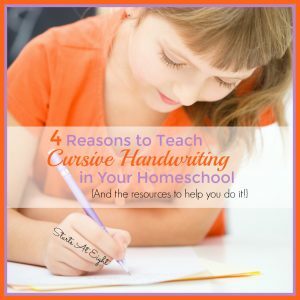 As my children get older I find it very difficult to grade their writing. The written word can be so subjective. To help not only myself, but my children as well, to be more methodical and critical of their own written works, I created checklists. This is my Fiction Proofreading Checklist. 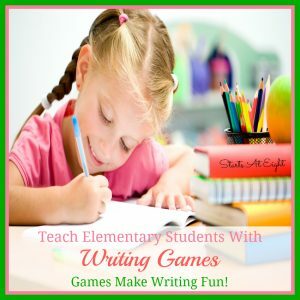 While some aspects of writing are so subjective, there are some very basic things to keep in mind when evaluating writing. All papers should cover the topic of the assignment without going off on a tangent, or seeming to lack in information and content. All papers should have solid grammar and mechanics. 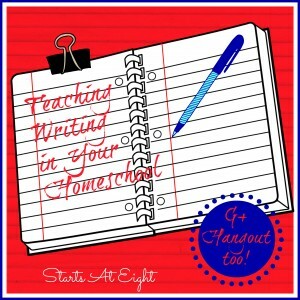 Things like spelling, capitalization and punctuation are all important things to look for. Fiction papers need to have clear, solid character development. 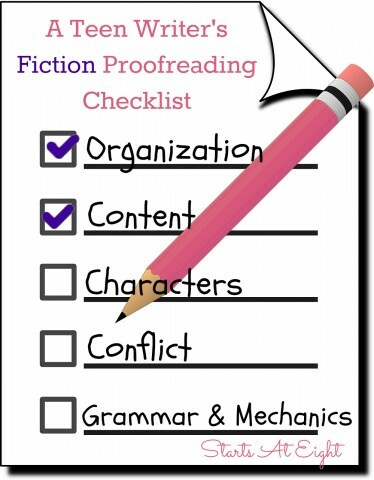 I created both this Fiction Proofreading Checklist as well as a Non-Fiction Proofreading Checklist as a way for my teen to take a step back and go through her work again before presenting it to me. I will then use the same checklist and go through her work. This offers us both the chance to look over the mechanics and major points needed. Then we take the time to discuss any sentences that don’t seem to flow well, or other major points that are more subjective to the work. Ultimately, I give her creative license and allow her to have those decisions go the way she is most comfortable. 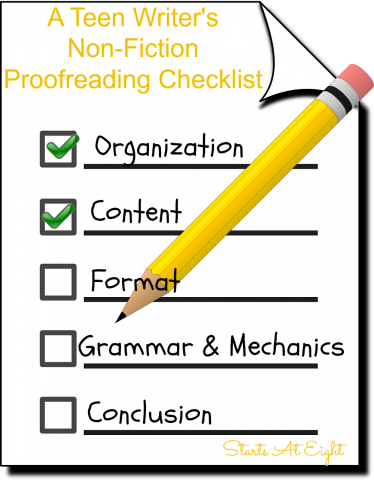 If you haven’t read my tips for assessing non-fiction writing you can check them out at A Teen Writer’s Non-Fiction Proofreading Checklist and download the pdf for that checklist.